Winter is coming! Time to Book your 2019 winter ski retreat. 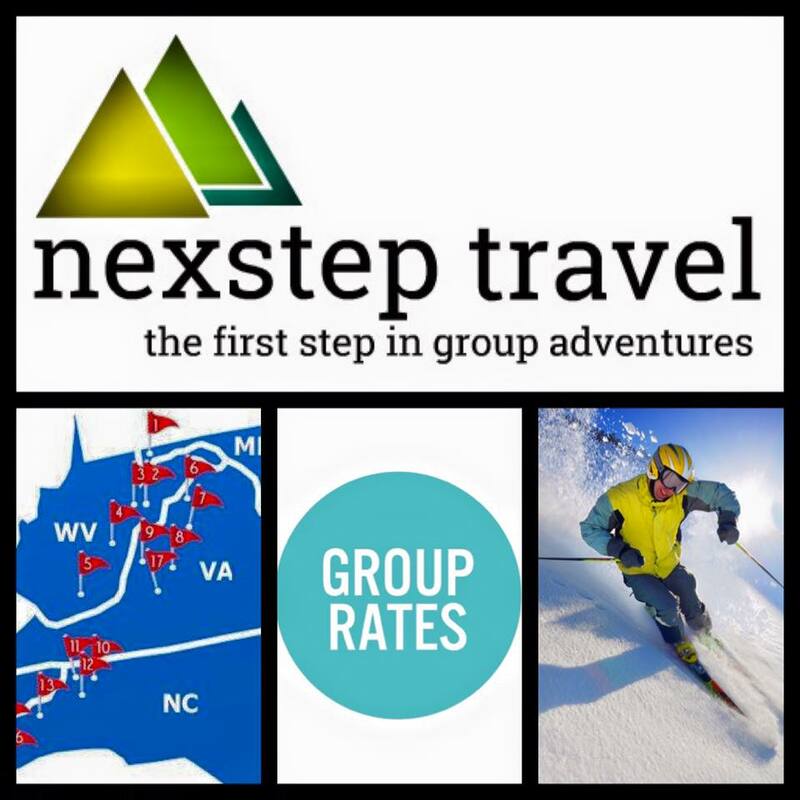 Winterplace, Cataloochee, Beech Mountain, Wolf Ridge and more! We’re just a few weeks away from opening ski season! There’s still plenty of retreat options available ~ so if you’re taking your group skiing, now is the time to book. We work with 14 ski resorts and offer hundreds of easy & affordable packages. Contact Nexstep Travel today for a free~no hassle quote. Winterplace, WV Snowshoe, WV Timberline, WV Wisp, MD, Wolf Ridge, NC Cataloochee, NC Wolf Ridge, NC Beech Mtn. NC, Massanutten, VA, Wintergreen, VA, Perfect North, IN, Paoli Peaks, IN, Keystone, CO, Winter Park, CO, SKI RESORTS. Group Rates : Lift tickets, Ski / Snowboard Rentals, Tubing Tickets, Lodging, Meals, Transportation, Driver Room, Meeting Space and more!